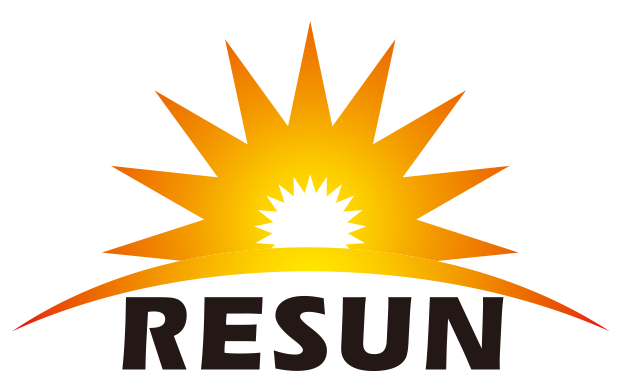 Company Overview - Suzhou Resun Solar Energy Co., Ltd.
7YRSSuzhou Resun Solar Energy Co., Ltd.
Resun Solar Energy Co., Ltd was founded in 2007,engaged in developing and manufacturing photovoltaic solar products. 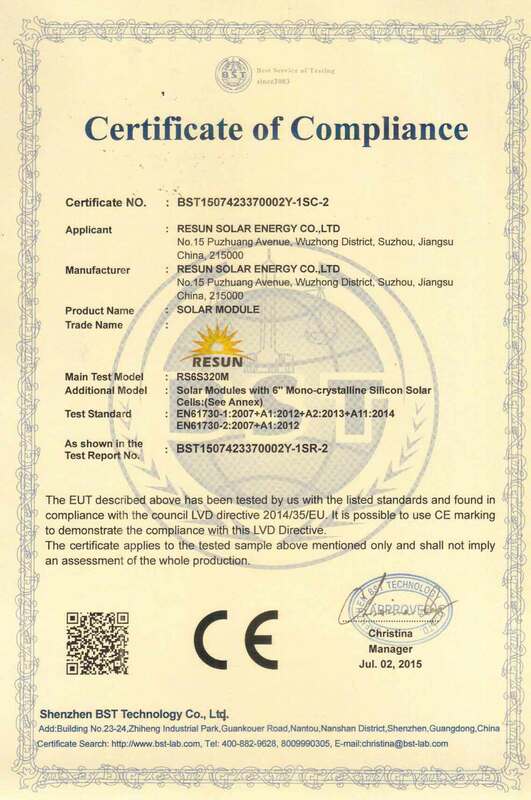 The series of the solar-energy products are of high quality, easy installation, long life time, free maintenance, low operation cost and environmental friendless. 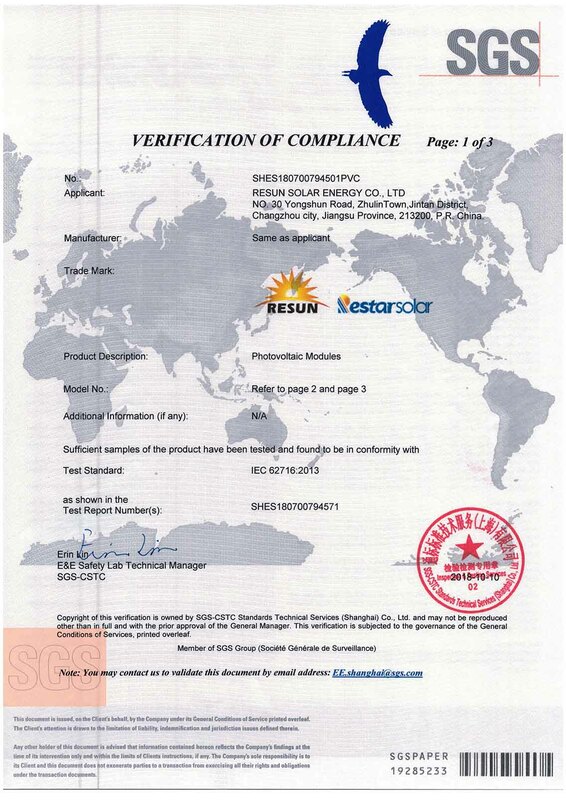 Headquartered in China, Resun 's sales network covers more than 20 Countries, providing customers with instant after sales service and an efficient supply-chain, our clients can be found throughout the world, such as North America, Europe, Oceania, Eastern Europe, East Asia, Middle Easter and Africa etc.With its products recognized by a number of international quality systems such as, TUV, IEC61215, IEC61730, CE, ROHS, FCC, CEC(Australia) and CGC(China), Resun Solar Energy Co.,Ltd takes "Credible, Prompt and Reliable' as its business philosophy. 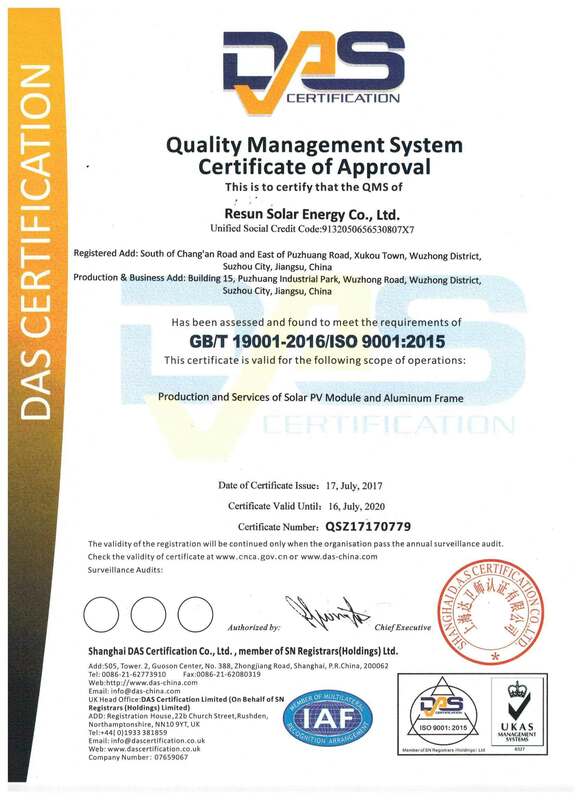 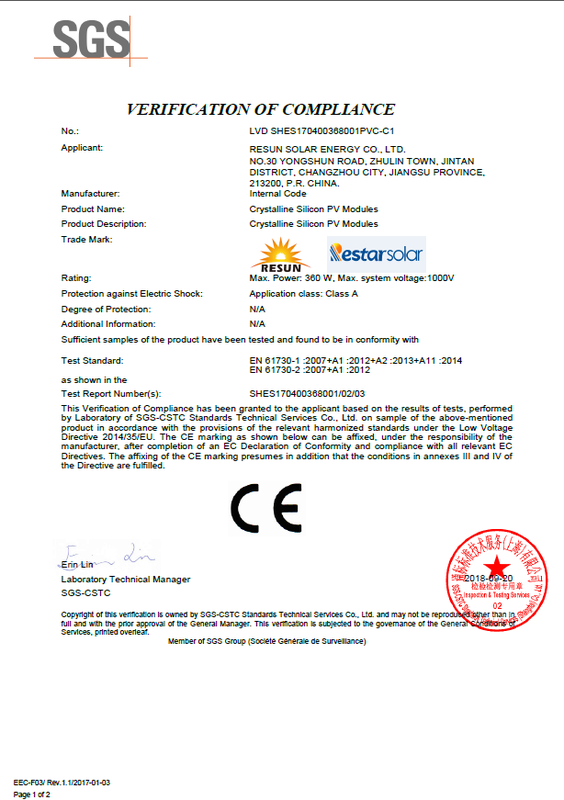 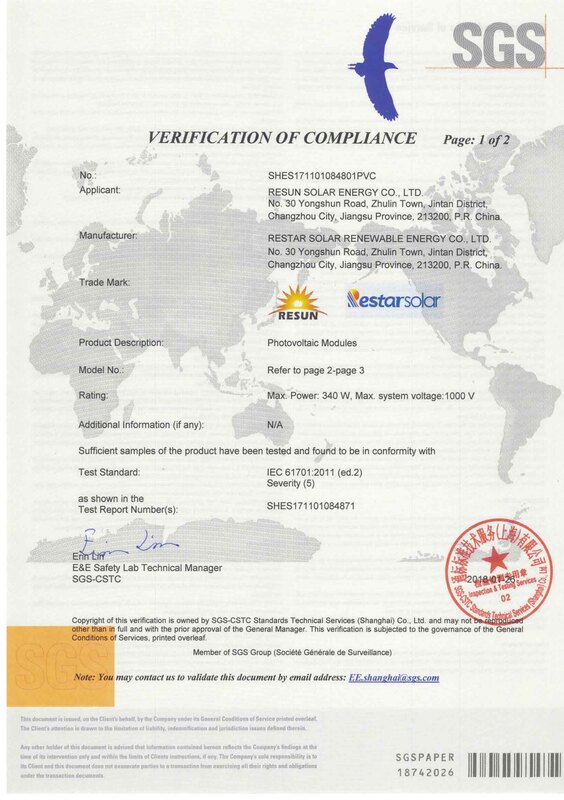 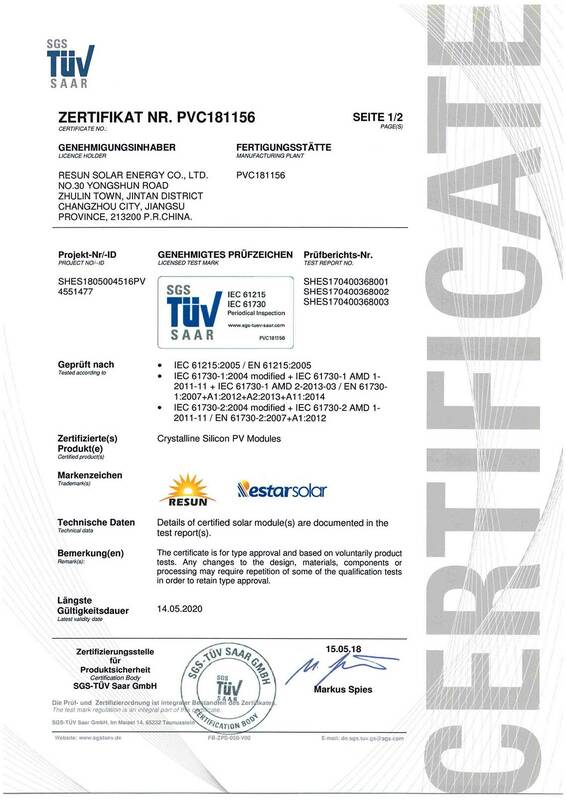 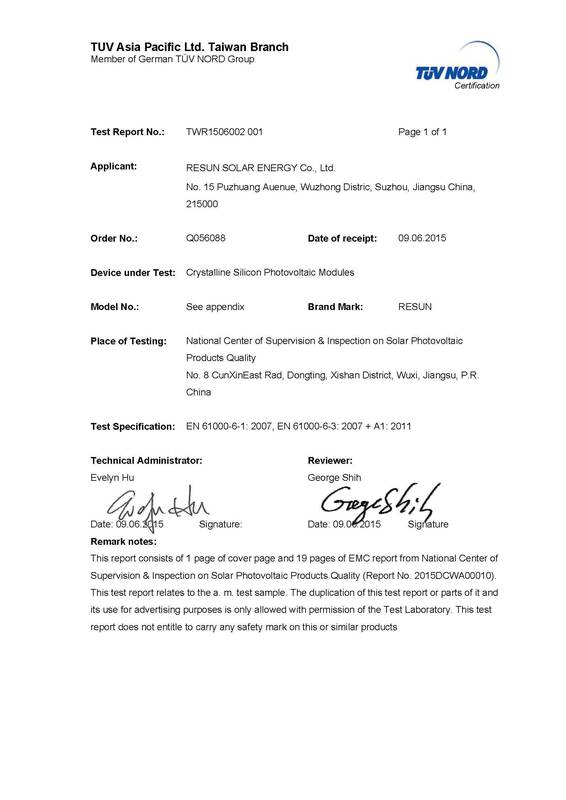 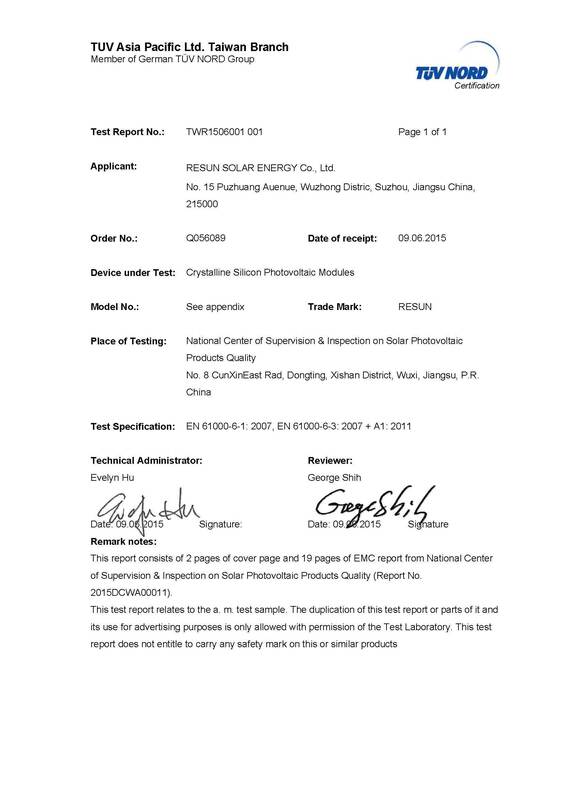 We will continue to do business carefully and to be loyalty to customers.We, Resun Solar Energy Co,.Ltd, look forward to creating a brilliant future of PV industry with our customers and strive to provide high quality products and service to all our customers.